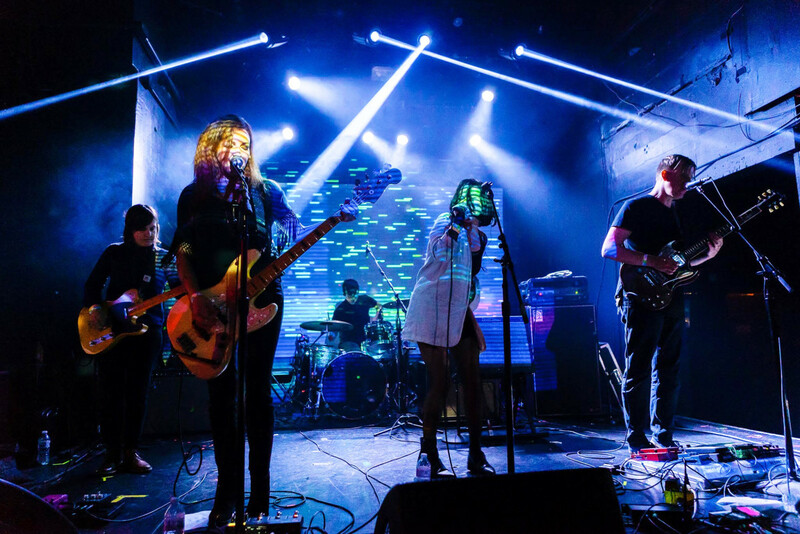 The ex-Smashing Pumpkins bassist returns to the stage with a debut album from her new band Bizou. In 2010, Nicole Fiorentino’s life changed forever when it was announced that she was the new bassist for alternative rock legends Smashing Pumpkins. She was no stranger to the limelight, having previously been a member of other popular rock acts such as Veruca Salt, Spinnerette, and Light FM. Similarly, that same year she also formed the band The Cold And Lovely, which made for a nonstop touring schedule and also put Fiorentino’s writing and recording skills to the test. She went on to release Teargarden by Kaleidyscope (2010) and Oceania (2012) with Smashing Pumpkins, and The Cold And Lovely’s self-titled debut (2012) and Ellis Bell(2013). She was up for the test, and delivered massive bass performances on each of the albums, while solidifying her prolific stature as songwriter. Fiorentino’s magnetic stage presence and staggering tone made her stand out and become a favorite among fans of both bands. 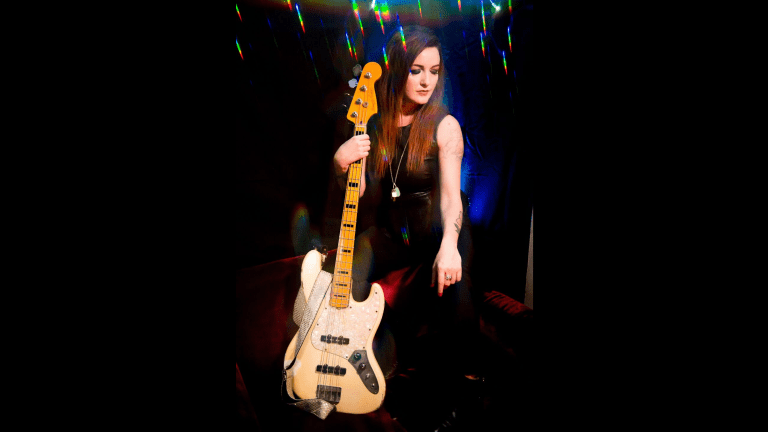 When we had a chance to discuss her playing with Billy Corgan, the Smashing Pumpkins frontman likened her style to that of Chris Squire of Yes, an incisive comparison given Fiorentino’s strong rhythmic propulsion and her cutting midrange sound. 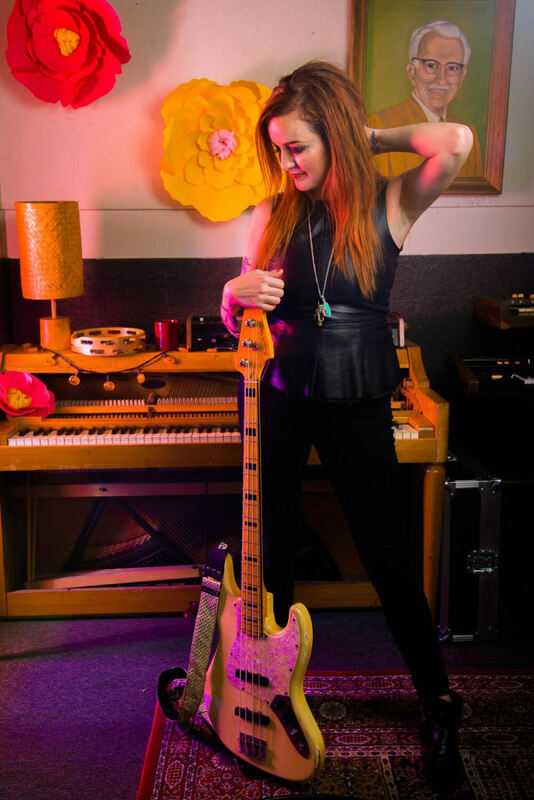 She continued to develop a mature musical identity with both of her musical outlets, but in 2014 she announced that she was departing from the Pumpkins lineup, and in 2016 it was revealed that The Cold And Lovely would be taking an indefinite hiatus. The non-stop touring and studio schedule that she had grown accustomed to had now subsided, and for the first time in a long time, she allotted herself some space away from music. In 2016 she formed her own business, a pet-sitting and charitable organization in Los Angeles that fueled her other love besides low end, dogs and cats. 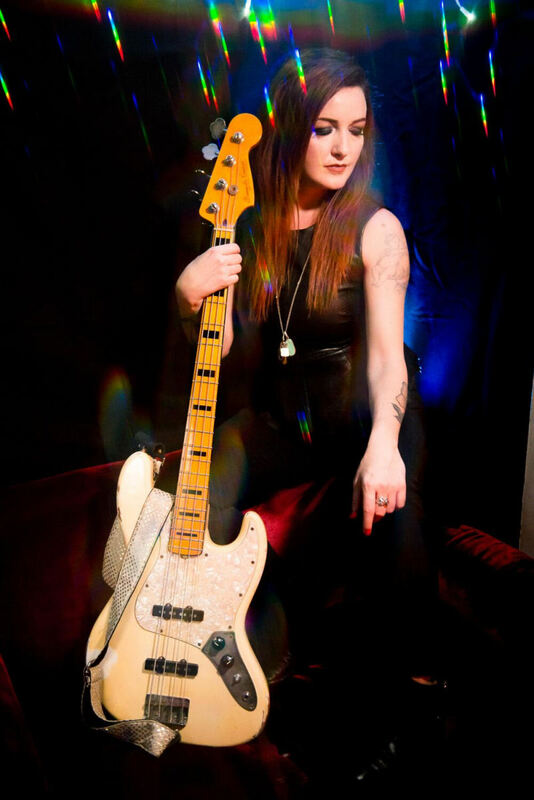 Content with her new lifestyle, it was going to take something special to make Nicole want to don her bass once again, and that project found her late in 2018 when her close friends approached her to start a new band. The initial jam sessions reinvigorated her love of playing, and before long, the group Bizou was minted and ready for action. 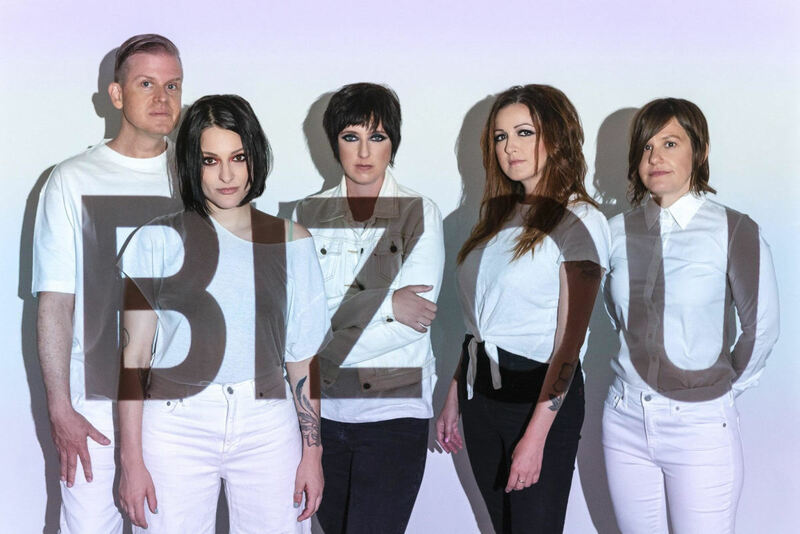 In her own words, Nicole describes Bizou’s music as a sweet and poppy brand of dark beach goth that resembles if Siouxsie Sioux had a baby with Lush. We’d explain it better than that, but we really can’t. And naturally, the root of the music lies in the powerful, chorus and gain-driven lines of Fiorentino, who seemingly hasn’t skipped a beat in her time away. 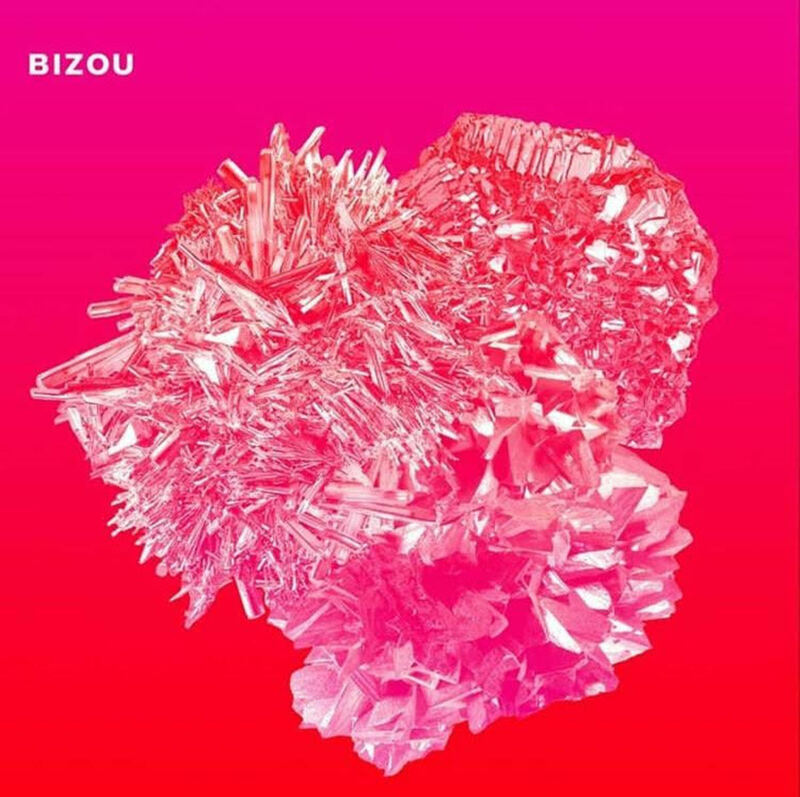 Bizou has now recently released its self-titled debut EP, with a distinctive vibe that makes this nascent outfit already sound like a seasoned band. But that’s exactly what we’ve come to expect from any project Fiorentino steps into. After you departed from Smashing Pumpkins, you decided to take a break from music. What made you want to return? I started my business and wanted to focus on that, and with any new company, the first two years are the hardest, so I really didn’t have time for anything else. But after a while I was itching to play again. I was waiting for the right thing to come along, something that just made sense to me. I’ve known Josiah [Mazzaschi] for years; we were in Light FM together right before I joined SP. Nicki [Nevlin] is my best friend, and we’ve been in many projects with each other over the years. Erin [Tidwell] is a longtime friend and played drums in my band The Cold And Lovely, and we met Mina [Prietto], our badass singer, through Erin. Going into this we all had a great rapport and a good understanding of how we all work musically. We started writing songs and it all came together very naturally. How did you approach the bass in this band differently than your work in Smashing Pumpkins and The Cold And Lovely? I’m not sure if it’s because I took a long break or what, but there is a different vibe altogether in this band. I feel like it’s a clean slate for me as a bass player. I feel like the people I’m working with are really open to my ideas, not that Billy [Corgan] or Meg [Toohey] weren’t open — I think I was just in a very different place in my life when I was in both of those bands. Billy always encouraged me to play from my heart, but it was a very high-pressure situation. Meg was encouraging, too, but there’s a whole other layer added being in a band with your significant other. I feel very free in this band and very supported. Also for the first time in a long time I’m really just doing this for fun, because I love to play. And that’s a good place to be as a musician. What was your process writing your bass parts? Josiah is our secret weapon; he’s a jack-of-all-trades kind of person. He writes the core of the songs, and we all work on our own parts based off that. I like to sit with the songs at home and work out my parts, and then when we rehearse I’ll often rearrange my parts depending on what Erin and Nicki have come up with. It’s a fun collaboration, and we are all super open to each other’s ideas. Your bass lines have almost an ’80s post-punk, gothic feel to them à lathe Cure or Joy Division. The Cure are my all time fave, and Joy Division as well. I’ve always loved Peter Hook’s midrange melodic style, and it plays into how I approach the bass when writing my parts. The rest of the band listens to a lot of Siouxsie Sioux, New Order, Chameleons, Curve, Wire, and all those similar bands. There are a lot of elements, like synth lines and added melodies. How did you find your harmonic space? We compromise. Sometimes there will be a keyboard part that’s really cool, but then I write a part that makes more sense for the song, so we’ll just take out the keyboard, or I’ll write a part but it’s clashing with the keys so I’ll simplify it or take it out altogether. I usually start with more and then have to pare it back a little. I tend to be too wordy with my bass parts, and I always have to check myself. Your lines in “Love Addicts” really drive the whole song. I think it’s inspired by The Cure’s Disintegration . That album is often in my mind when writing bass lines. It’s such a classic. Specifically “Fascination Street,” it’s just so groovy and driving. “Like Rain” is a grooving song where you really dig in. That’s probably my favorite song to play live right now. Some of our stuff is pretty moody, but that one always gets the crowd dancing. They just can’t help but move their little booties to it. It’s our disco jam. How did you achieve your tone for this EP? In the studio we recorded with both a DI and amp signal and blended the two. A lot of the effects were applied with Pro Tools in the mix. The DI was a SansAmp, which gave it a little more drive. We used the SoundToys Decapitator 5 plug-in quite a bit, and the Electro-Harmonix Neo Clone Chorus and some Waves plug-ins. We also used a Boss Super Chorus pedal. I love choruses. For the song “Scars,” we ended up using a live recording on the EP rather than the studio tracks, because, why not? And you used basses different from the Fenders and Reverends that you had previously. My friend Lyndz McKay[bonnevilleguitars.com] builds these gorgeous vintage-inspired guitars and basses that just play beautifully. They feel so good in your hands, too. I know a lot of people are making relic guitars now, but Lyndz’s guitars are something special. She gave it to me about four years ago when I was in The Cold And Lovely, and it has been my main bass ever since. They’re inspired and designed after ’60s [Fender] Jazz Basses. How did playing in Smashing Pumpkins impact you as a bass player? Oh my God, in so many ways. Stylistically, I always felt I had the freedom to be me, but I had to figure out and step into myself in order to hold my own. I had some pretty badass predecessors on bass in SP, so I had to find a way to honor the history, but also stand out. I was up for the challenge, though. I feel like I did make my mark with Oceania , as my style is all over that record. In general, I had to up my game or I was going to fall flat on my face. Billy was a great mentor; we had a great musical connection, and I felt trusted and respected as a player. That trust helped build my confidence in myself. I’ve taken that with me in my other projects — this idea that if I trust my instincts, they won’t lead me astray. Do you miss any elements of being in that band? Yeah, of course. I love those songs, and I miss playing them. I miss the energy of their audience, and I had a great bond with a lot of the fans, and I miss seeing them out at the shows. I do feel like I am still supported by the SP community, which is really wonderful. Many of them have continued to follow my projects over the years. It warms my heart. Are there any bass players who have been inspiring you lately? I love watching my friend Ashley Reeve [Cher, Filter] onstage; she’s such a raw talent. And Nikki Monniger of Silversun Pickups is also amazing. My all-time faves are Simon Gallup, Peter Hook, Kim Gordon, Carlos D, Jennifer Finch, and Krist Novoselic. 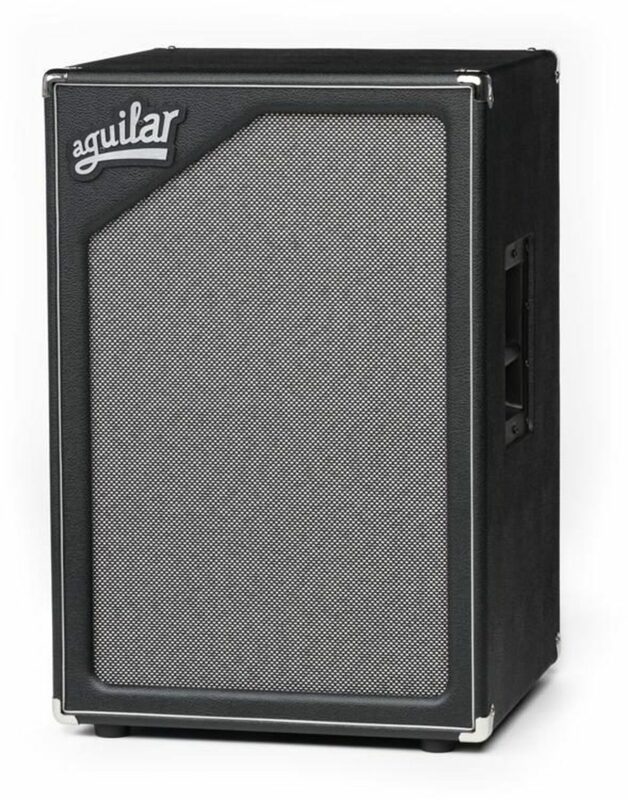 How have you evolved as a bass player from your early years of playing?